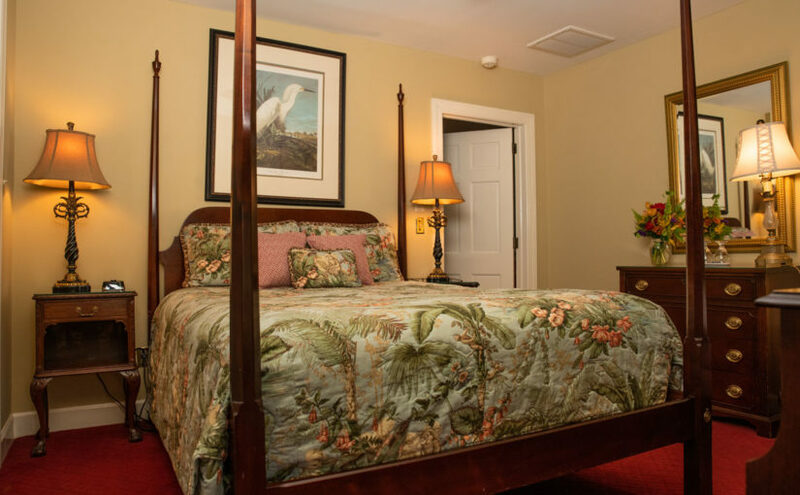 The nine elegant guestrooms, beautifully furnished living areas and spectacular location of our Charleston lodging provide the perfect setting for a romantic celebration or a tranquil retreat from everyday life. 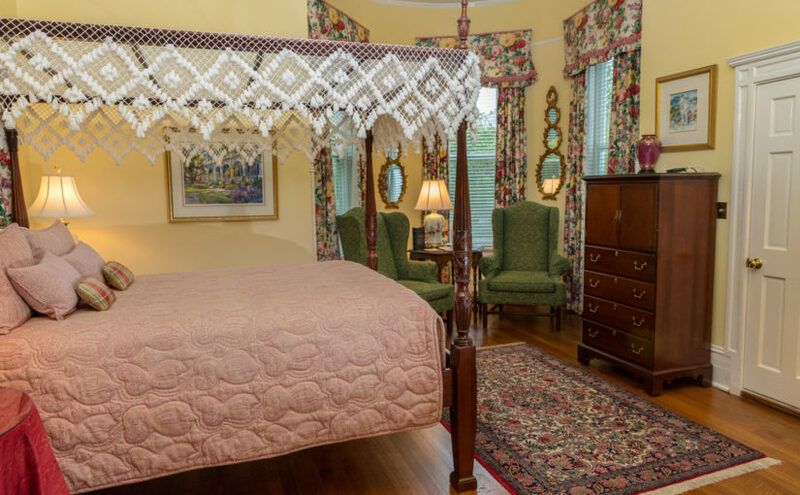 Whether you choose a magnificent honeymoon suite or an inviting third floor room, your South Carolina bed and breakfast travel experience will be memorable. 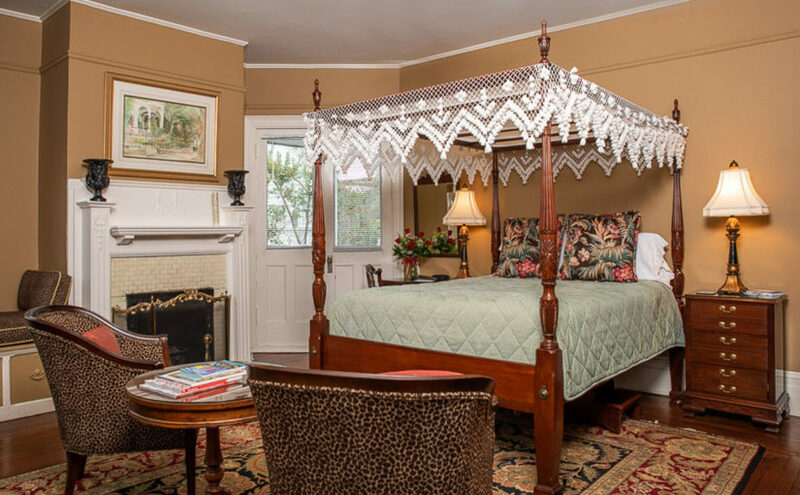 Our Charleston, SC B and B offers you the amenities of a luxury hotel with the special, personal touches one expects from a bed and breakfast inn. 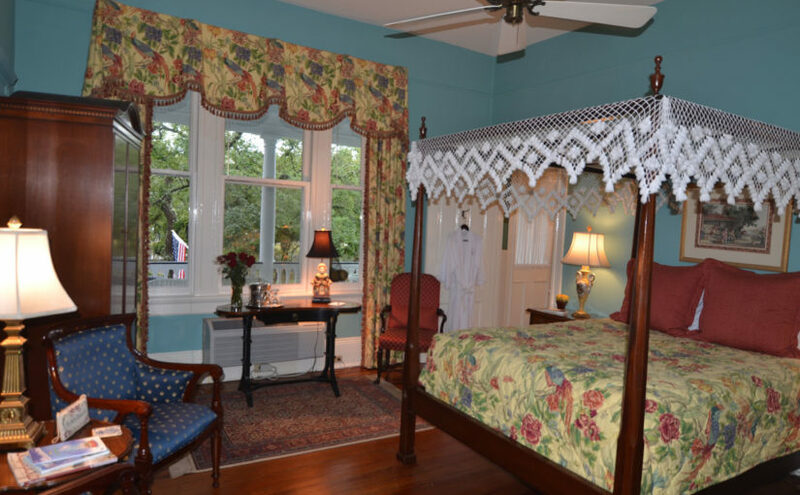 Room 1 – A spacious second floor Victorian guestroom with classic furnishings and style. 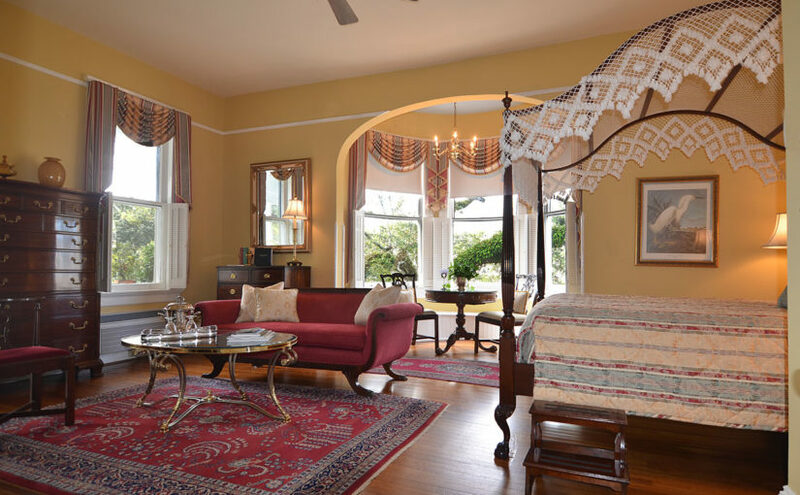 Room 2 – The Premier Master Suite features the internationally photographed hallmark turret overlooking historic Meeting St.
Room 3 – A sophisticated guestroom highlighted by access to the grand veranda of the second floor. 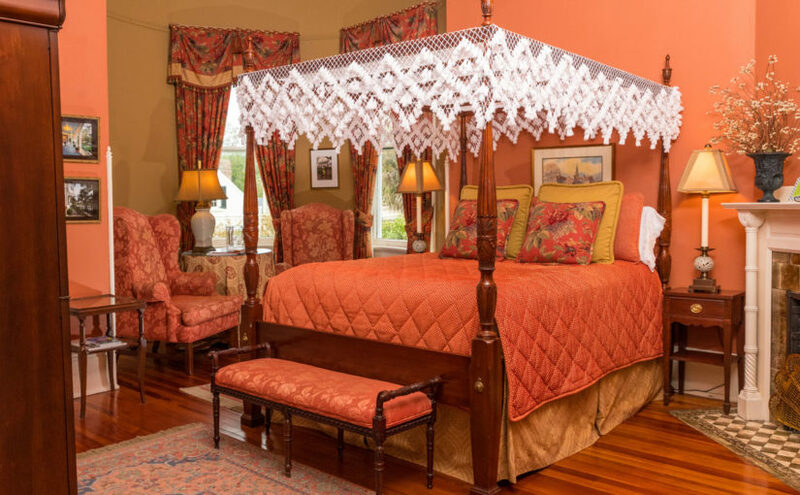 Room 4 – Distinctively oval shaped, this room accommodates two queen four-poster beds among twelve foot ceilings. Room 5 – From the private balcony guests enjoy a colorful view of red azaleas in the Southern courtyard. 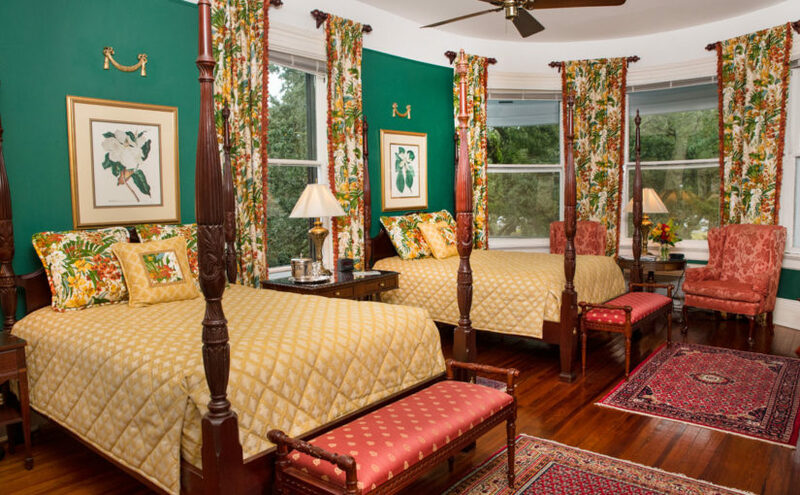 Room 6 – An elegant third floor guestroom highlighting a handsome queen bed with deeply carved mahogany posts. Room 7 – This beautifully appointed room reflects the calming theme of blue and white Chinese porcelain. 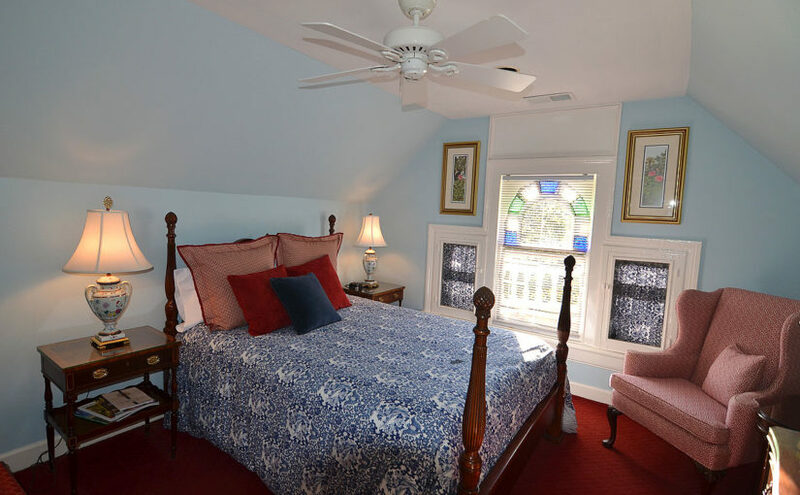 Room 8 – This third floor retreat offers value in a chic, casual and comfortable setting. 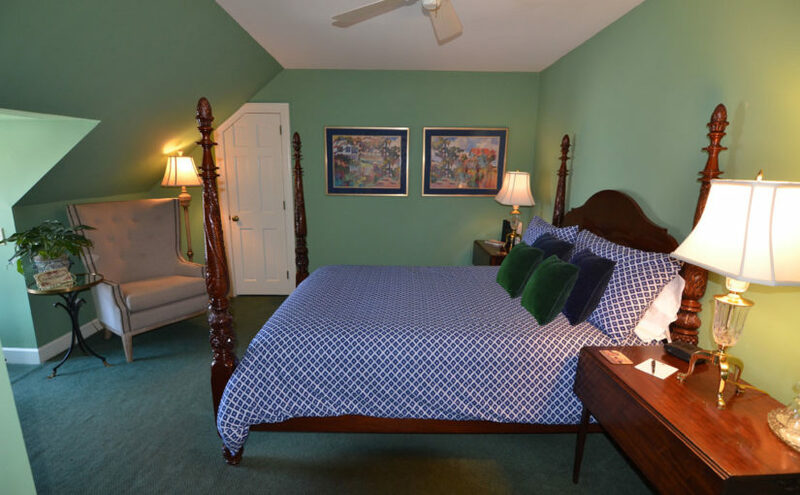 Room 9 – Located on the first floor, this room offers twelve foot ceilings, hardwood floors, Oriental rugs and a fireplace.